Though perhaps best known for his outdoor writing, Jack Ehresman covered many high school, college and professional sports events during his 43-year career at the Journal Star. A graduate of East Peoria High and Bradley(1954), he began working full time at the newspaper in 1953. He retired in 1997. His early assignments included the Peoria Chiefs when they played at Woodruff Field in the 1950s and prep sports. Later he covered Northwestern and Notre Dame football, Bradley basketball under Chuck Orsborn, and whatever came up on the sports calendar. Jack became Outdoor Sports Editor in 1967 and turned out columns for thirty years. During those years he authored more than 7,500 stories and columns, becoming well-known throughout the Midwest. Ehresman became widely respected among his peers. He was invited to sit on a variety of state and national boards dealing with various environment issues. His writings won numerous awards. For many years he was a trustee for the nationally respected Ducks Unlimited. Upon his retirement in 1997, Jack chose to continue that relationship. He is a charter member of the Illinois Outdoor Hall of Fame. A native of Manito, Ill., Henry Van Arsdale Porter is credited with coining the phrase "March Madness," but his influence on high school athletics in the state of Illinois and nationally is much more tangible. After graduating from Illinois State University in 1913, Porter began his career as a high school coach, athletic director and principal. He led the Athens High School boys basketball team to a 29-1 record and a runner-up finish in the 1924 state tournament, as well as a 36-3 record and fourth-place state tournament finish in 1926. Well known for his administrative skills, however, Porter served as an IHSA Assistant Executive Director from 1929-40, before moving on to the National Federation of High School Athletic Associations (NFHS) staff in 1940 as the organization's first executive secretary and editor of publications. Throughout his career, Porter's contributions in a wide range of areas led directly to the evolution of basketball. 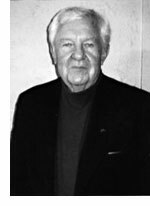 During his service to the IHSA, Porter organized the department to train and license high school officials in football, basketball and baseball and he oversaw the introduction for state tournaments in the sports of tennis, golf, swimming and wrestling. He also published the first high school basketball rules book in 1936, standardizing the game across the country. Among his contributions to the game, Porter designed the popular, fan-shaped backboard in 1933 and in 1935 he pushed for the replacement of the 32-inch sewn leather basketball with a 29.5-inch, molded leather basketball. The new ball was much easier for youth players to handle and made dribbling a more prominent skill in all levels of the game. Porter also pioneered the use of motion pictures to study proper playing techniques. Porter was inducted into the Naismith Memorial Basketball Hall of Fame in 1960 and the Athens High School gymnasium is named in his honor.